SXSW has always been famous for being at the bleeding edge of innovation. And no more so was this apparent at this year's Interactive Trade Show than at the Moff Band booth where a wearable that could revolutionise the world was on show. 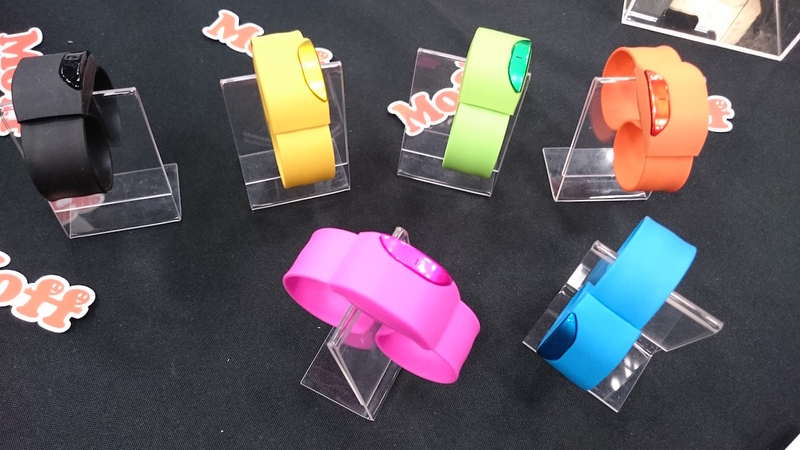 Moff Band is a wearable toy that kids can snap onto their wrists and, using the accompanying smartphone app, can select an object they want the Moff to make the sound of, once an appropriate gesture is made. It smashed its Kickstarter target back in 2014 and is now available for a discounted $54.99 in the States. We had a go over in Austin and tried out a lazer gun, a guitar and a golf club, all of which worked well and made us giggle like children. Which is the entirely the point we suppose.